On February 2017 Balenciaga completely renewed its website in a way never seen before, being inspired by “excel worksheets” and for this reason extremely minimalist and simple. This is what Balenciaga stated on its Instagram page. A decision that stirs debate for sure, as their intention of clarity sacrifices the attention to imagery and aesthetic which represented the fashion world so far. A behaviour the company seems getting used to, as they surprised customers with a brand new light blue bag worth $2000 that looks very similar to the plastic bag that Ikea sells for $0.90. 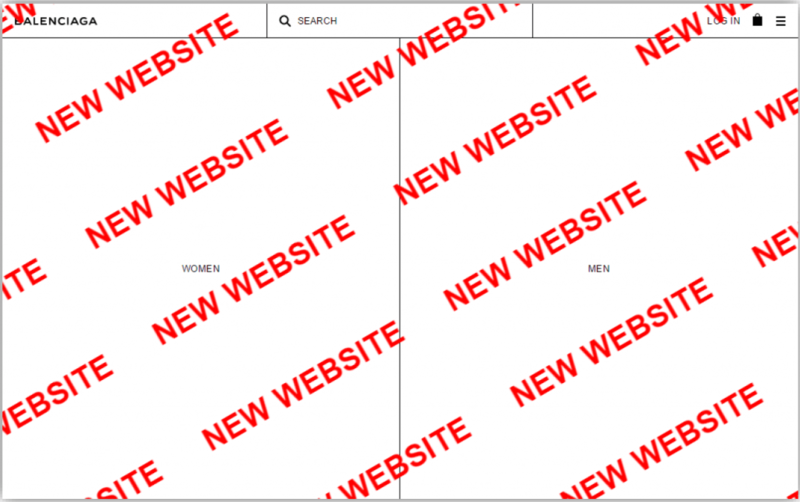 Browsing Balenciaga’s website you are directed to the various sections; every section has simple text with a white and squared background (as an excel cell) describing the category and the different sub-categories of products available; only once you get into the category you have chosen you can see single products side by side. The product page is fulfilled with all the information needed by the customer and has clear and effective explanation of all the services provided by the brand: you can look at the nearest shop and check the product availability, also by colour, or you can buy it online (price is clearly expressed); you are made aware of delivery times and return terms. Customer can also ask for a style advisory by phone or email, check their Instagram or Facebook page to take inspiration from the catwalks outfits and complete the look with related product suggested by default by the website. For this reason, the question is wether for a fashion-luxury brand it is more important how the website is a “pleasant” visit card or what level of service is offered to the online customer beyond everything else. 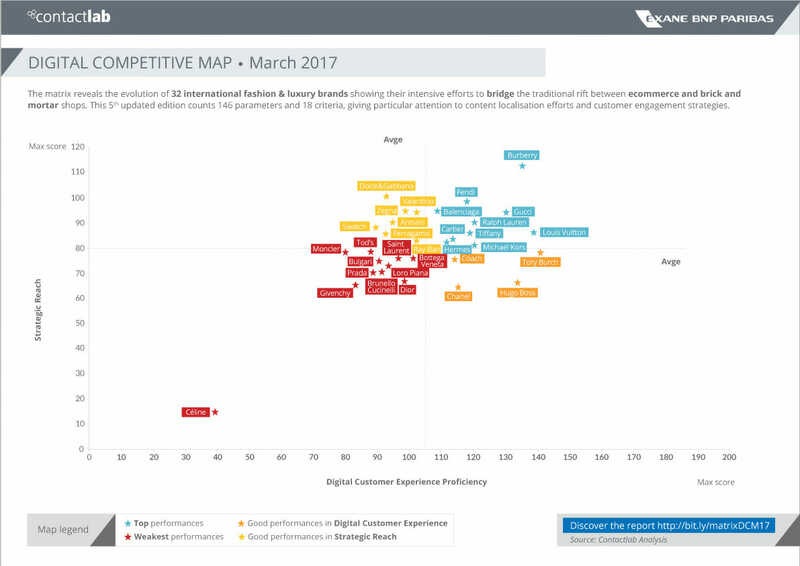 We try to answer looking at the 5th edition of our Digital Competitive Map 2017 (March 2017), a research project from Contactlab, experts in digital customer engagement, and Exane BNP Paribas, the financial investment branch of the French bank. Balenciaga is among the 10 best performers in the like for like map, namely the map which compares the 2016 and the 2017 analysis on the same parameters. It is very well positioned just behind Burberry (which is still the leader amongst all the 32 brands analyzed). Furthermore, it has for sure made good improvements in Digital Customer Experience Proficiency, the axis that measures how brands are able to close the gap between digital and in-store performances securing a broad cross-channel experience and focusing on personalisation of every step of the online process. In the map Gucci is another Kering Brand very well positioned on the map, whether Louis Vuitton and Fendi are the two LVMH competitors also standing out for their good positioning on the map. More information available on the premium report. Balenciaga stands out in the new Digital Competitive Map 2017 (see picture) thanks to its 2nd place in the Strategic Reach axis. The brand leads in worldwide online presence (except Brasil and e-tailers in China and Korea), recently adding Taiwan and the Gulf, and uses a wide range of web languages localizing contents in every country where it has an e-commerce, showing improvements (ex. Russian) from last year. The brand made available online 100% of its product range, and gained top position on this axis also thanks to systematical disclosure of the “Made in” country on the web product page, showing at the same time consistency between heritage countries and the majority of the production. Less is more, than? 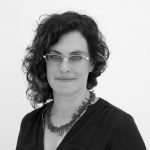 Probably the truth lays in the middle, as fashion brands cannot exclude visual identity to build their identity and show their their “core values”. Fashion is made of aesthethic, colors, images, is a topic which is inherently related to exibitionism, self exposure, is made for who wants to distinguish herself or himself. On the other hand, it is also true that what is relevant, at the end of the customer journey, is the ability to guarantee an impeccable service and the widest range of opportunity to the consumer, to pamper him and make him feel like he is making a journey through exclusivity and luxury. And in this case, quality do not necessarily meets with the most exterior aspect of communications. Anyway it will be very interesting to monitor Balenciaga during this 2017 and see the business results of its new visual design strategy on the next Digital Competitive Map 2018.